What is Eyebrow Embroidery (Microblading)? Microblading is a semi-permanent pigment that is pushed into the surface of the skin with a fine blade to mimic the growth of the already existing hair and/or create new hair like stokes where there isn’t hair. Microblading will correct and/or reconstruct uneven, over-tweezed, scared, thinning eyebrows. Achieving an overall bolder, and more natural-looking corrected brow. Microblading is a two-part procedure. The first session takes 2-3 hrs depending on how much work a client needs. Clients then return for a touch up in 4-6 weeks, with the touch up taking 1-1.5 hrs. How long does it take to heal/is there downtime? There is no downtime with Microblading. After the first procedure, the eyebrows may be slightly red and swollen but this goes down in 2-3 days. During the healing process the eyebrows go through stages of slight scabbing, milky skin (the color looks less dark and more milky looking as the skin heals), and even slight flaking. It takes 10-14 days for the brows to heal over, and about 1 month for the color to fully set in. It can last from 1 -3 years depending on your skin type and how you take care of them. On average clients come back to refresh their eyebrows every 1-1.5 years. The discomfort is relative as everyone has a different level of sensitivity. There is some minor discomfort at first (which lasts about 3-5 minutes on each brow) and then the client is numbed and no pain is felt. Does Microblading leave traces of pigment behind after 1-3 years? Microblading is not permanent and therefore does disappear from the skin over time completely, but could leave a slight shadow behind. Am I a good candidate for Microblading? Microblading is safe and suitable for most people however some clients experience better results than others due to skin type (dry vs. oily), age, and body/skin conditions. Accutane or other strong retinoids: Must wait 6 months – 1 year after treatment ends, consult your doctor. Taking certain medications, including immunosuppressants such as anti-inflammatories or steroids (healing results may vary due to this). Scare tissue around the eyebrow area: Scare tissue does not retain pigment as well but can absolutely be corrected. Anemic: Your body may use the iron oxide in the pigment as a supplement causing the pigment to fade faster. What should I do to prepare for my Microblading procedure? Stop taking fish oils and omega supplements one week prior to appointment. Avoid blood-thinning medications (such as Aspirin, Advil, Ibuprofen, etc.) 48 hours prior to your appointment (excessive bleeding during the procedure will reduce the amount of pigment absorption). Waxing (wait at least 2-5 days); Tweezing is okay. Does everyone’s skin heal the same from the procedure? Everyone’s skin is very different and therefore may heal differently from this procedure. Depending on your skin type, how well your body heels, and how well you take care of your new brows some areas might retain pigment better than others. Never buy bad beauty products again! 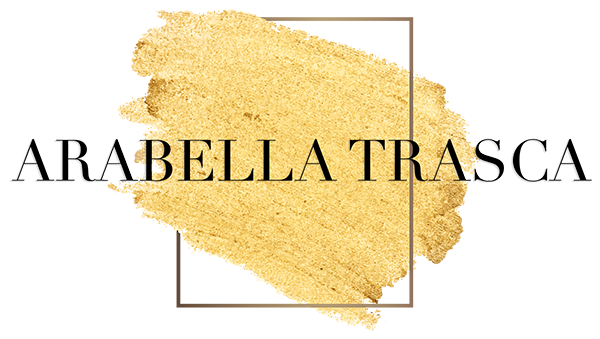 below and receive my monthly top makeup and skin products recommendations for free! You will also receive one exclusive discounted offer for microblading or beauty services with me.